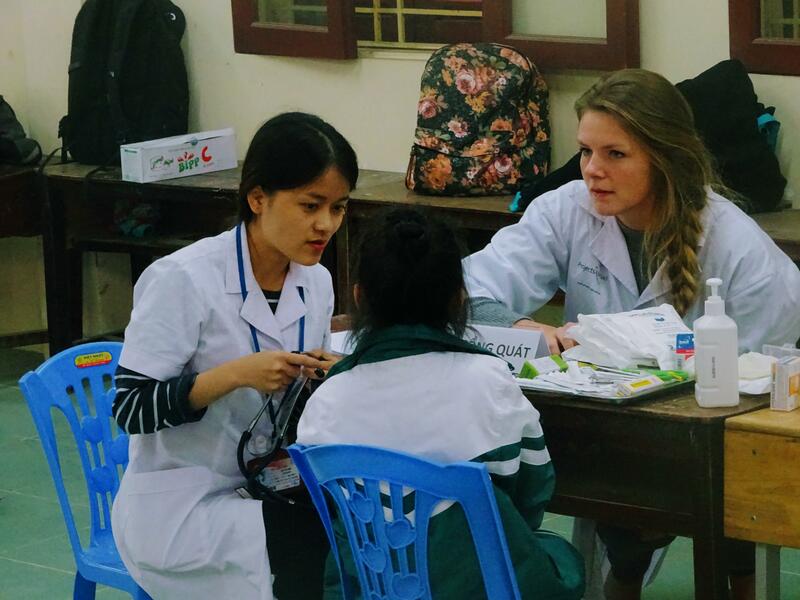 Take part in our Dentistry internship in Vietnam and discover first hand what the day to day life of a dentist is like. You’ll shadow dentists in clinics and other healthcare centres, and learn directly from them. 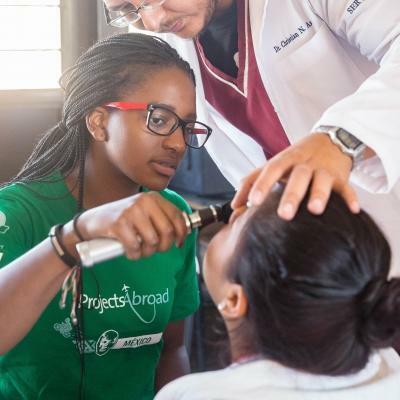 This experience will add value to your CV, and give you a deeper insight into the healthcare challenges people face in developing countries. We’ll teach you about common oral diseases and conditions, and how to diagnose and treat them. You’ll sit in on consultations, and observe different procedures. You’ll also have the opportunity to do practical work during outreaches. You’ll focus on planning and running educational talks about the importance of good oral hygiene. You’ll live and work in Hanoi, and stay with a host family or in shared accommodation with other Projects Abroad interns. Make the most of your time in Vietnam, and eat plenty of delicious food like pho, and explore places like Ha Long Bay! To join this internship, you need to have completed at least one year of dentistry studies or training. Is a Dentistry internship in Vietnam right for me? Are you a dental student looking to broaden your practical knowledge? 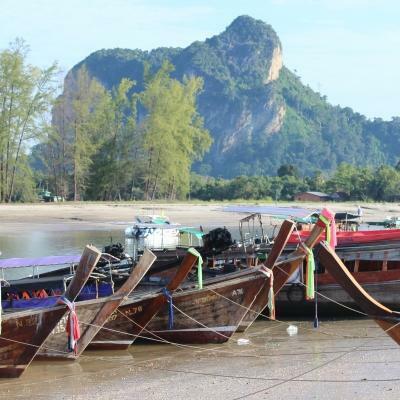 Are you interested in adding international work experience to your CV? Would you like to support disadvantaged people at the same time? 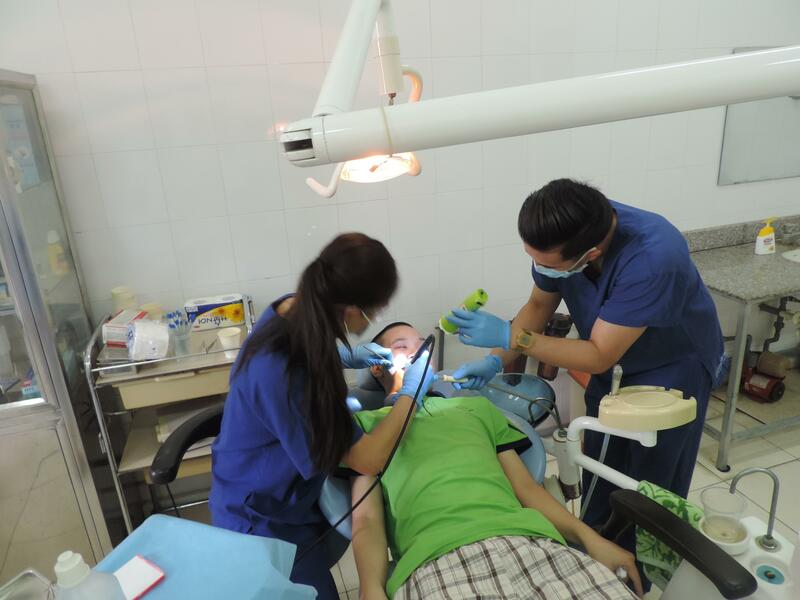 If you answered yes to these questions, dental work experience in Vietnam is perfect for you. You’ll work in a medical setting, and learn from experienced dentists. This will add relevant work experience to your CV, and give you interesting points to talk about in applications and interviews. Best of all, you’ll support disadvantaged communities through practical outreach work at the same time. To join this internship, you need to have completed at least one year of dentistry studies or training. Everything you do will be supervised, and you can reach out to Projects Abroad staff for guidance at any time. 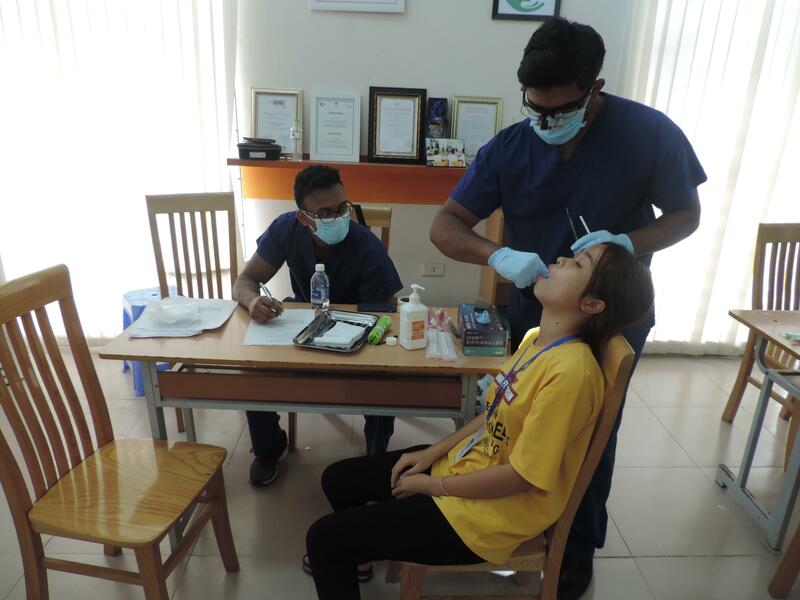 Our Dentistry internship in Vietnam runs throughout the year and has flexible dates, so you can join at any time for a minimum of two weeks. We encourage you to stay longer than two weeks in order to learn as much as possible. You will spend the majority of your time shadowing dentists as they go about their work day. You’ll sit in on consultations and observe simple procedures, and learn more about the theoretical and practical aspects of dentistry. We encourage you to ask questions and make notes about what you see. Besides sitting in on consultations and procedures, you will be taught how to clean, sterilise, and prepare medical equipment and the room for procedures. Once you have mastered these skills, this will be one of your daily duties as an intern. You have the opportunity to participate in outreach work. This work will involve teaching local communities about the importance of oral hygiene through presentations and handouts. The aim of these awareness campaigns is to encourage people to have regular dental check ups and to look after their teeth and mouths properly, in order to prevent disease. 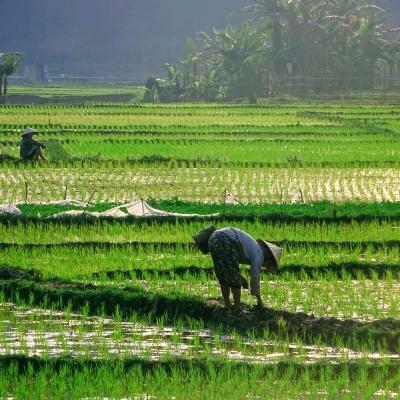 You will be based in Hanoi, Vietnam’s capital city. Hanoi is lively, with endless markets spilling onto streets, scooters zooming by, and a restaurant on every corner. You will have the opportunity to explore over weekends and in the evenings. You will work mainly in a hospital setting, and can choose which departments you would like to be involved with. The main placement is in a hospital specialising in dental care. The hospitals we are partnered with are generally of a high standard and are equipped with the modern technology. 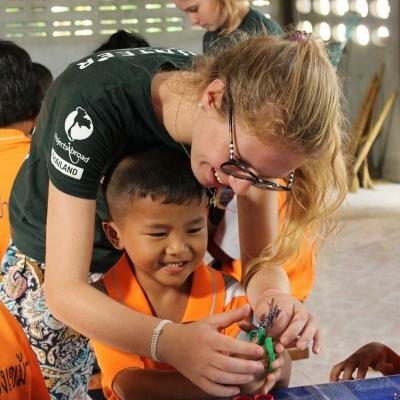 What is a typical day on the Dentistry internship in Vietnam like? You will wake up to a delicious home-cooked breakfast with your host family, or at the accommodation you share with other interns and volunteers. You will then leave for work on local public transport. On your first day, our staff will accompany you to show you the way. You work day will run from 8am until 4.30pm from Monday to Friday, and you will have the weekends off to explore. Your day will generally be spent shadowing dentists during consultations and observing simple procedures. You will also assist with cleaning tools and preparing equipment for procedures. Some of your time will also be set aside for outreach work. This will involve raising awareness in the local community about the importance of oral hygiene, as well as how to take better care of their teeth. In the evenings, you will be free to explore Hanoi with fellow interns or relax at your accommodation. Make the most of your weekends, and organise a trip to famous places like Ha Long Bay. There are two main aims to this project: to provide you with an educational experience and to assist those in disadvantaged communities. Many of the dental interns who join us are looking for international work experience. One of our aims is to encourage the cross-cultural sharing of knowledge. You will learn from skilled local dentists, and in turn share your own experiences with them. 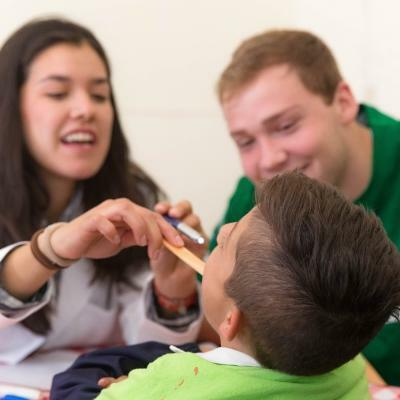 It’s a wonderful way to not only learn about healthcare practice in a developing country, but to discover everyday life in another country. In Vietnam, 80% of the population still live in rural areas with little or no access to basic healthcare or dental facilities. This is due mainly to lack of funds, as well as lack of transport. Your outreach work will contribute to trying to combat these issues. You will share knowledge about the importance of good oral hygiene, as well as how to take better care of their teeth. Join a Dentistry internship in Vietnam, and expand your knowledge about dentistry while helping us work towards these goals.